The Wednesday Call Live (TWC) for January 28, 2015: This file is an audio recording of Andy's Live Show. If you would like to access the video version, check out the NAAtv Live Archives! The Live Show will air again on February 4, 2015 at 12:30 PM ET. The Wednesday Call (TWC) for January 14, 2015: Andy Albright hosts a live conference call and meeting from National Agents Alliance Headquarters in Burlington, NC! Andy's live show covers all kinds of great topics, including training, information on team building, new developments that are in the works, and frank discussions with your fellow agents (beginner and top level managers alike!). If that wasn't enough, the live show also provides motivation and encouragement that will help get you fired up and ready to roll! Be sure to tune in and take advantage of the great info in The Wednesday Call. Andy Albright was back from a quick two-day road trip to Charlotte, N.C. And Greenbelt, Md. 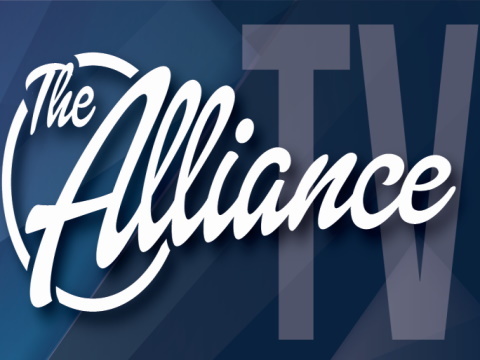 To host a live and loud edition of The Wednesday Call from Burlington, N.C.
Andy personally invited each viewer to join The Alliance next week in Raleigh, N.C. for the 2015 "In the Hunt" National Convention at the Raleigh Convention Center. Biff Baker from Phoenix Life was in studio to help announce some contest winners. Ed Cassidy jumped on the phone to talk about the excitement between the Phoenix partnership with The Alliance. Baker, Albright and members of The Alliance helped draw contest winners during the show. Up next, Foresters' Darwin Hurme jumped on the call to give away $15,000 to members of The Alliance as a reward for sales in the fourth quarter of 2014. Foresters also gave away suites for the Greek Cruise. Andy told viewers that Who you are is what you do. Too often we tolerate people and don't celebrate with people. We need more people celebrating life and not tolerating what is in front of you. Don't tolerate your life, design it. We hope to see you at NatCon15 in Raleigh, N.C. The Live Show will air again on January 21, 2015 at 12:30 p.m. EDT. The Wednesday Call Live (TWC) for January 14, 2015: This file is an audio recording of Andy's Live Show. If you would like to access the video version, check out the NAAtv Live Archives! The Live Show will air again on January 21, 2015 at 12:30 PM ET. The Wednesday Call Live (TWC) for January 7, 2015: This file is an audio recording of Andy's Live Show. If you would like to access the video version, check out the NAAtv Live Archives! The Live Show will air again on January 14, 2015 at 12:30 PM ET. The Wednesday Call (TWC) for January 7, 2015: Andy Albright hosts a live conference call and meeting from National Agents Alliance Headquarters in Burlington, NC! Andy's live show covers all kinds of great topics, including training, information on team building, new developments that are in the works, and frank discussions with your fellow agents (beginner and top level managers alike!). If that wasn't enough, the live show also provides motivation and encouragement that will help get you fired up and ready to roll! Be sure to tune in and take advantage of the great info in The Wednesday Call. The Live Show will air again on January 14, 2015 at 12:30 p.m. EDT. The Wednesday Call Live (TWC) for December 31, 2014: This file is an audio recording of Andy's Live Show. If you would like to access the video version, check out the NAAtv Live Archives! The Live Show will air again on January 7, 2015 at 12:30 PM ET. The Wednesday Call (TWC) for December 31, 2014: Andy Albright hosts a live conference call and meeting from National Agents Alliance Headquarters in Burlington, NC! Andy's live show covers all kinds of great topics, including training, information on team building, new developments that are in the works, and frank discussions with your fellow agents (beginner and top level managers alike!). If that wasn't enough, the live show also provides motivation and encouragement that will help get you fired up and ready to roll! Be sure to tune in and take advantage of the great info in The Wednesday Call. The Live Show will air again on January 7, 2015 at 12:30 p.m. EDT. The Wednesday Call Live (TWC) for November 19, 2014: Andy Albright is coming at you live from National Agents Alliance Headquarters in Burlington, NC! Training, team building, and surprise visits from top agency managers are all common themes for Andy's live show. Tune in to get all of today's great info! The Live Show will air again on November 26, 2014 at 12:30 PM ET.